A New York Times bestselling novel of desire, secrecy, and sexual identity, In One Person is a story of unfulfilled love—tormented, funny, and affecting—and an impassioned embrace of our sexual differences. Billy, the bisexual narrator and main character of In One Person, tells the tragicomic story (lasting more than half a century) of his life as a "sexual suspect," a phrase first used by John Irving in 1978 in his landmark novel of "terminal cases," The World According to Garp. In One Person is a poignant tribute to Billy’s friends and lovers—a theatrical cast of characters who defy category and convention. Not least, In One Person is an intimate and unforgettable portrait of the solitariness of a bisexual man who is dedicated to making himself "worthwhile." Prep school. Wrestling. Unconventional sexual practices. Viennese interlude. This bill of particulars could only fit one American author: John Irving. His 13th novel (after Last Night in Twisted River) tells the oftentimes outrageous story of bisexual novelist Billy Abbott, who comes of age in the uptight 1950s and explores his sexuality through two decadent decades into the plague-ridden 1980s and finally to a more positive present day. Sexual confusion sets in early for Billy, simultaneously attracted to both the local female librarian and golden boy wrestler Jacques Kittredge, who treats Billy with the same disdain he shows Billy s best friend (and occasional lover) Elaine. Faced with an unsympathetic mother and an absent father who might have been gay, Billy travels to Europe, where he has affairs with a transgendered female and an older male poet, an early AIDS activist. 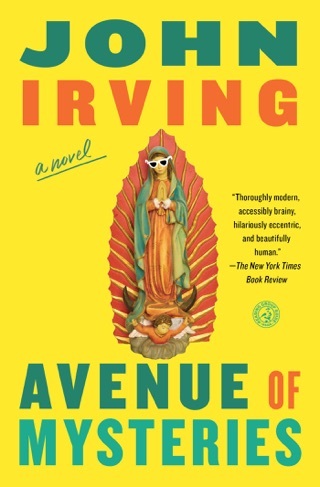 Irving s take on the AIDS epidemic in New York is not totally persuasive (not enough confusion, terror, or anger), and his fractured time and place doesn t allow him to generate the melodramatic string of incidents that his novels are famous for. In the end, sexual secrets abound in this novel, which intermittently touches the heart as it fitfully illuminates the mutability of human desire. 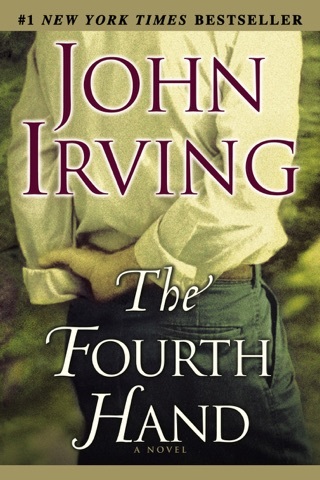 John Irving's novels are a wonderful combination of compelling plots and extremely well developed characters who live a bit beyond the pale. In One Person has tremendous pathos as it follows the life of the narrator who evolves from an adolescent who cannot pronounce words of things that he cannot embrace in himself or others - a very clever literary mechanism, to a fully formed person who is comfortable in his own skin - that of a bisexual and much more. 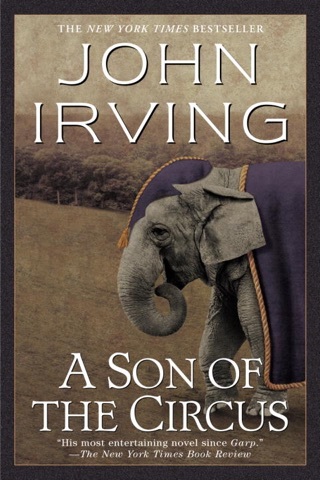 However, unlike Irving's classics, this story loses its edge - the endings that Irving often uses to bring the reader to a new place becomes rather predictable - it was all a little too neat. 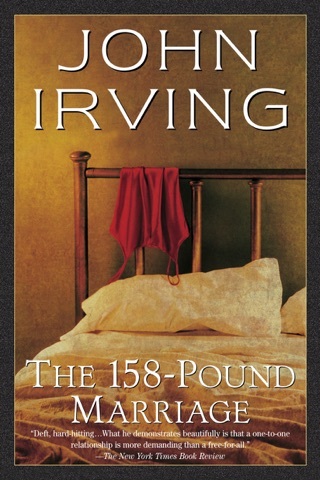 I am a huge John Irving fan. I love all of his characters, and William is no exception. I love his relationship with Elaine and Larry, particularly. His grandfather is a great character-- and who could forget poor, pathetic Tom Atkins? There are some hilarious scenes-- many laugh-out-loud moments (thanksgiving with Gerry and her new girlfriend). I wanted a bit more at the end...I wanted more on the end of Bill's life...certainly more of how Elaine wound up! 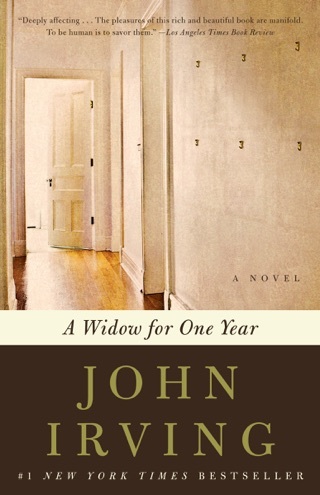 But John has done it for me, yet again...loved this book. 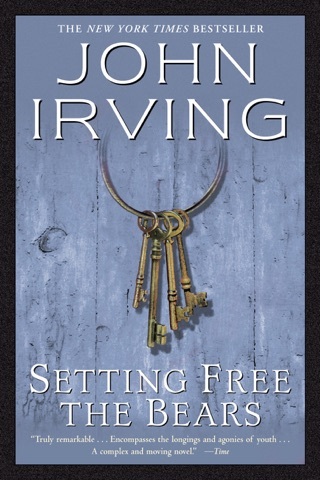 I am amazed at the frankness Mr. Irving brings to this topic. As a bisexual reader, I am proud and grateful to him.